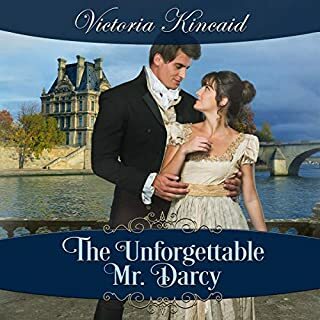 But when Darcy discovers that Lord Charles' new target is none other than Elizabeth Bennet, the woman who refused Darcy's offer of marriage, he cannot stand by and watch as the woman he still loves is callously ruined. What he doesn't know is that Lord Charles has a dark secret, and that his attentions to Elizabeth may not be what they seem. After a midnight rescue, clandestine meetings, a long-lost son, conspiracies, blackmail, and an attempted elopement, everyone can agree that this house party is anything but dull. After reading some not-at-all enjoyable P&P variations, I was skeptical of this one to say the least. And very ready to criticize it. But to my happy astonishment I am sad to find it over! 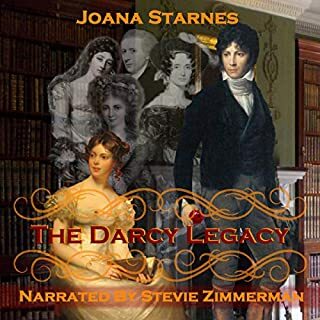 More than anything I deeply appreciate the fact that the character of Darcy and Elizabeth were the same-they seemed to be the very same people as in Jane Austen's Pride and Prejudice. Entertaining, funny, heartbreaking, and beautiful. So glad I decided to give it a shot. Well I love all things Mr. Darcy and Elizabeth and this story was a strong entry into alternative Austin plot lines. It had a very strong satisfying romance and well fleshed out characters. There was enough in the story to have it hold my attention and even give me some moments of anxiety but the some parts of the plot were rather thin. Most of the conflict came down to lack of communication and assumptions that seemed to be more contrived than something that real people would do. I wanted to yell - just talk to each other! The points where communication was avoided seemed to tread on friendships and trust that should have been more strongly established than they turned out to be which is sad. But overall that wasn't enough to stop it from being an enjoyable listen. In fact it will probably be something I would listen to again despite some flaws. Recommended. 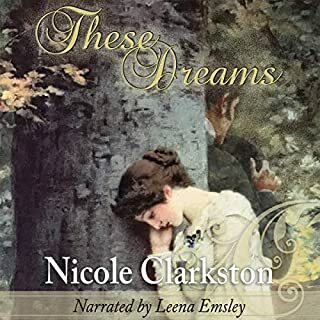 Where does Mr. Darcy's Noble Connections rank among all the audiobooks you’ve listened to so far? AR is a great writer of Pride & Prejudice variations. The witty repartee shines. The prose is high quality. Slightly warmer than Georgette Heyer but still very sensual rather than physical. Favourite scene. Lisbeth's late night departure from Bentham park. But still a few mispronunciations? Isn't it per-goal-a? I was very pleased to read this Pride and Prejudice twist on the classic story. I've read many of these fanfictions of the original story, but this is probably at the top of the list. 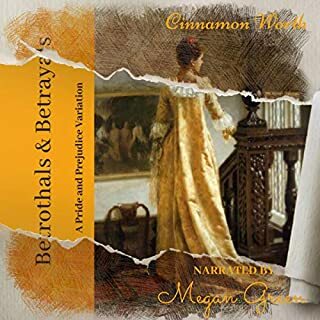 I highly recommend this to those who love the love story between Darcy and Elizabeth even though many new characters are introduced in this tale. A great idea for a story! The beginning was my favorite, and I loved seeing Elizabeth slowly relize she fell in love with Darcy. The performace was nice, I enjoyed the voice although it was hard to tell who was talking sometimes because the voices were the same. better written than alot of variations i have read recently. also has an original storyline that moves at a nice pace. Im biased because I love most anything Jane Eyre, and this did not dissappoint me. loved it! So many new characters brought to the fore in a completely different setting and milieu. All of which should have made for an interesting listen. I was looking forward to that sort of trailblazing. About the only characters that I revisited in this story were Darcy and Elizabeth. And that was fine by me, as I was looking for what could be done with just these 2 without the usual tropes. The result however was a bit a chaos, and forced standoffs. Even our lovers didn’t sound like I would like to know them in person. I could not stop listening, this is one of the best Pride &Prejudice variations ever!!!!!!! 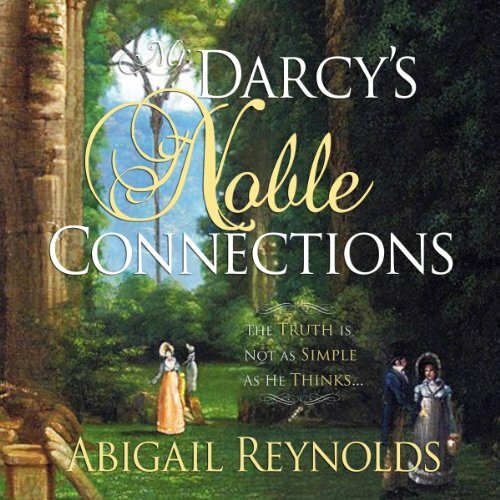 I loved this story with D&E meeting post Hunsford at an estate of Darcy's noble cousin. The original characters were very well written and interesting. I especially enjoyed the portrayal of the Dowager, Lady Eleanor and her rake of a brother, Lord Charles. The female guests were especially amusing. Apart from ODC budding romance, there is a lot of intrigue, jealousy and falsehood. The plot is very good, and the pace is fast. At the end, everything comes to a satisfying conclusion. ...with none of the usual characters. It's interesting to read a variation without Caroline, Wickham and/or Lady C. as the villain(s), or the Bennet's and Mr Collins behaving badly. Even Jane and Bingley are absent! Instead we have a cast of new characters, without prior knowledge of how they fit into the framework of the story. Original characters can be a double-edged sword, but they're generally well drawn and 3 dimensional, with only one verging on pantomime villain. However, they're kept sufficiently in the background for it not to matter much, as their actions are more talked about than depicted. 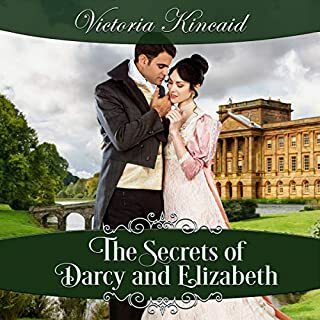 Of course, Darcy and Elizabeth are the heart of the story and the other events are usually shown through their perspective. The growing understanding between them is sweet and genuine. It's also clean, never exceeding some fairly steamy kissing and a bit of light petting before propriety reasserts itself.